Ashford House Nursing Home prides itself on delivering high quality, tasty, nutritious meals to our residents. Our catering team is headed up by Terry Tiernan. 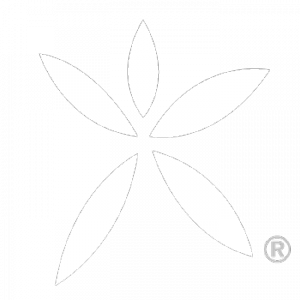 Terry joined Ashford House after a successful career in the restaurant industry. Terry and his team boast a huge repertoire of menus ensuring that residents can choose from a wide variety of meals and snacks on a daily basis. 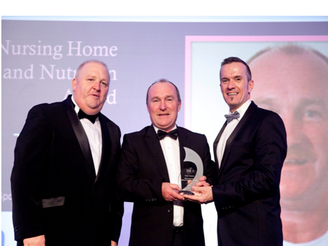 Catering and Nutrition Award from Nursing Homes Ireland after being selected from 300 applicants. The catering team also worked closely with our administrator to publish a picture menu book of every meal on offer in Ashford House for those that struggle to read. As meals are an important part of our lifestyle, we at Ashford House aim to provide healthy and balanced meals for all residents. We have an excellent house chef, who will be more than willing to accommodate any specific dietary requirements. You can avail of meals in our dining room or, if you prefer, meals can be provided in the comfort of your own room at your request. Should you wish for your relative or friend to assist you during mealtimes this can be accommodated. We would also be delighted if your relatives or friends join us for the many special occasions and events held throughout the year. Residents can avail of tea, coffee and other beverages at any time throughout the day. These are also regularly available mid-morning, mid-afternoon and evening time. We offer a variety of different snacks throughout the day, such as assorted sandwiches, seasonal fruits, yoghurts and cakes. We have a Residents Food Committee which meets every six weeks which the Head Chef attends. These meetings allow you to raise any issues or suggestions you may have regarding the food and catering in Ashford House.